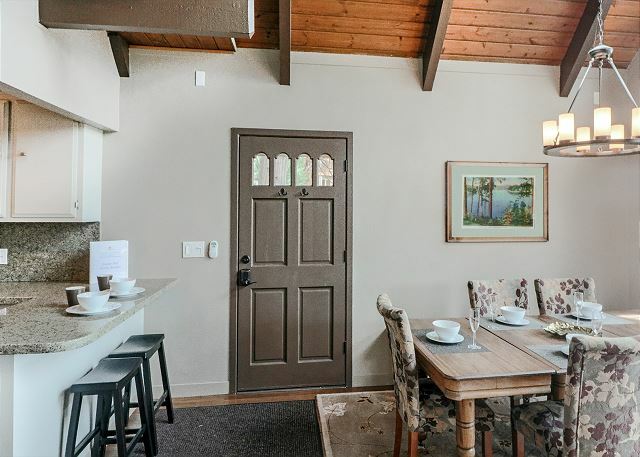 Living room and dining room open floor concept, great for entertaining. Downstairs master bedroom with private deck. 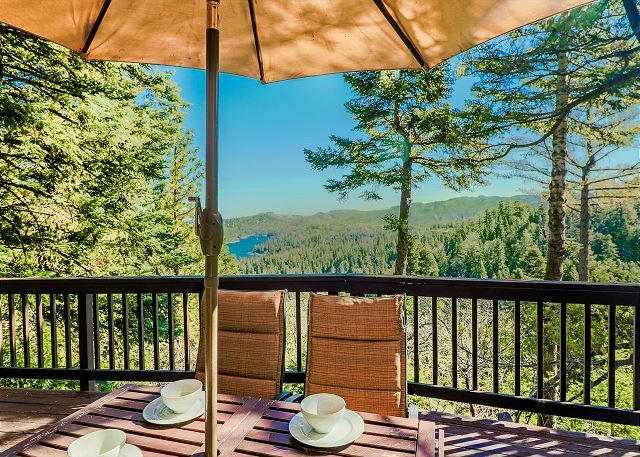 Beautiful lake views from deck and lounge seating. Stairs upstairs lead to loft bedroom, stairs downstairs lead to two of the bedrooms. 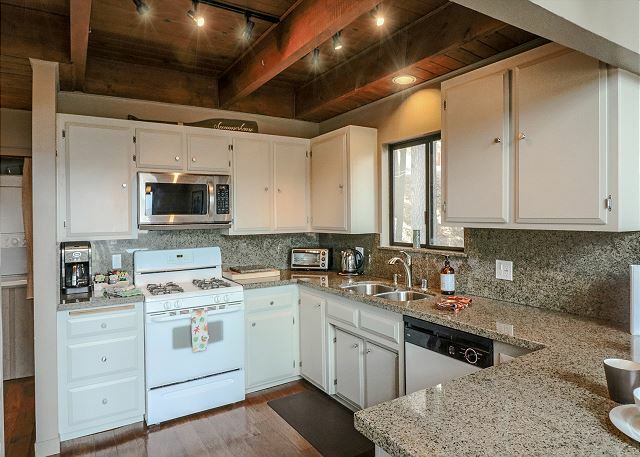 Kitchen has plenty of counter space and a breakfast bar. 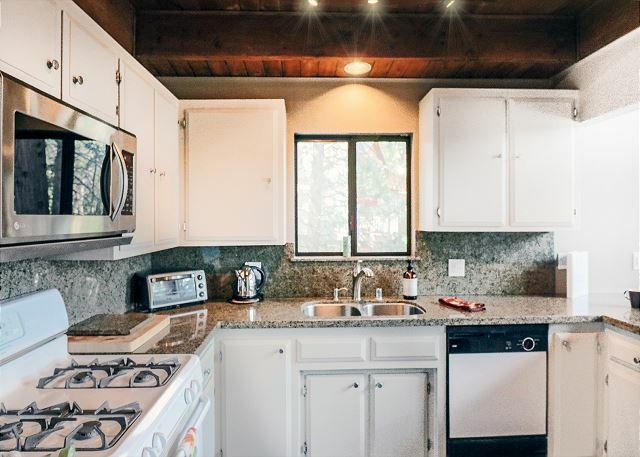 Newly remodeled kitchen with lots of counter space. Master bedroom with queen sized bed and in suite bathroom. Master bedroom with private deck access. 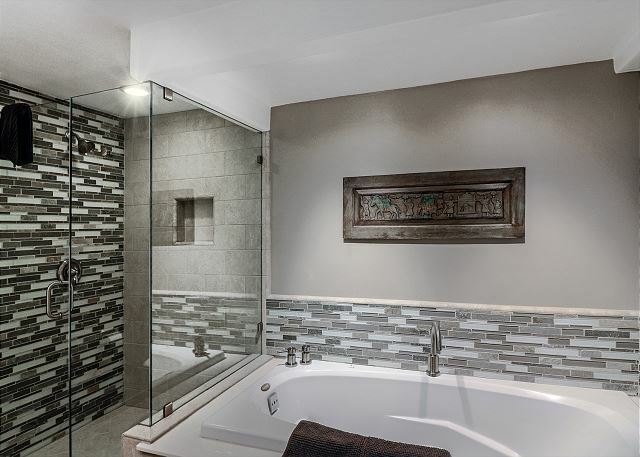 Master bathroom with large jacuzzi tub. Perfect place to relax after long day of hiking. Master bathroom also includes shower and dual sinks. 2nd bedroom also includes lots of closet space. Desk in 2nd bedroom if you need to get some work done while on vacation. 2nd bathroom located adjacent to 2nd bedroom with shower. 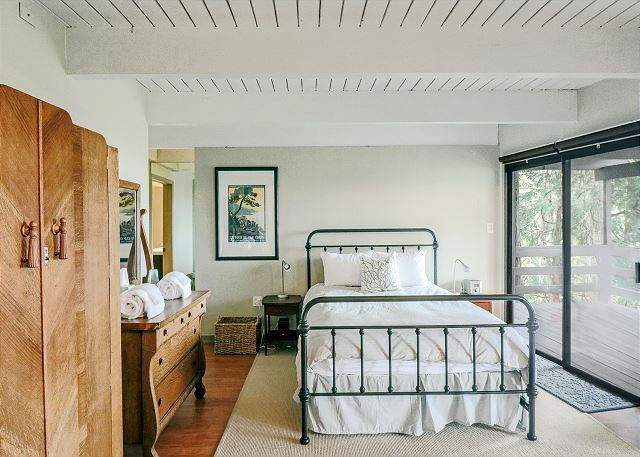 3rd bedroom with two single beds. Perfect room for the kids. 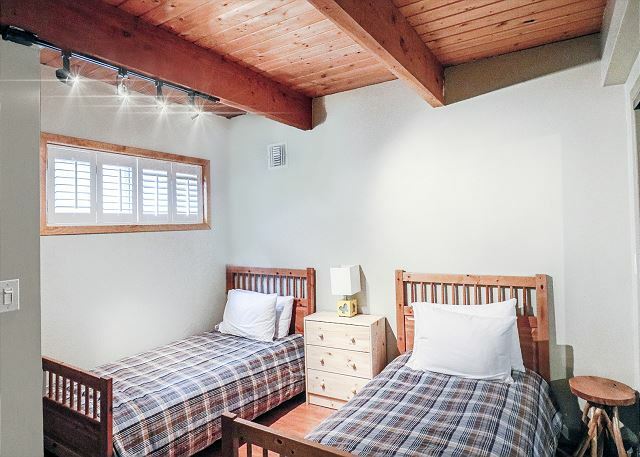 3rd bedroom with two single beds is located downstairs. 3rd bedroom also includes an in suite bathroom. 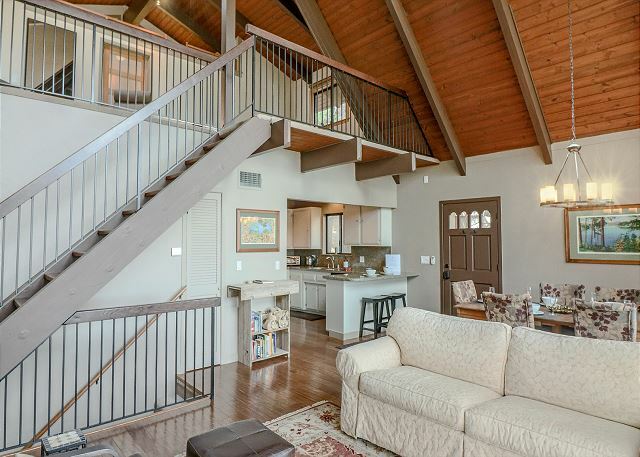 Upstairs loft sitting area with game and book library. Upstairs loft serves as 4th bedroom with own bathroom as well. Upstairs loft bedroom with queen bed. Upstairs loft bathroom with shower. 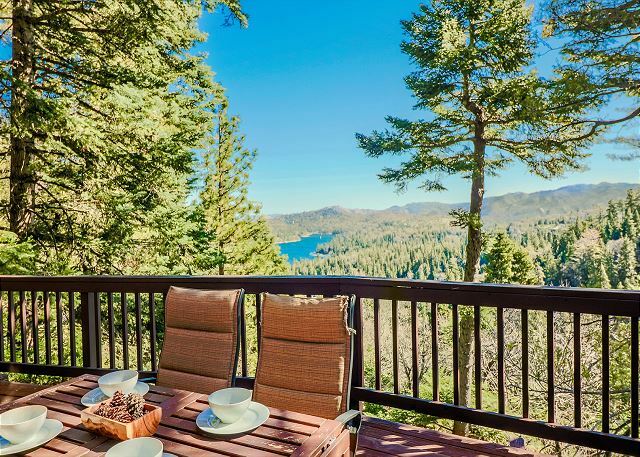 Outdoor seating on deck with beautiful views. 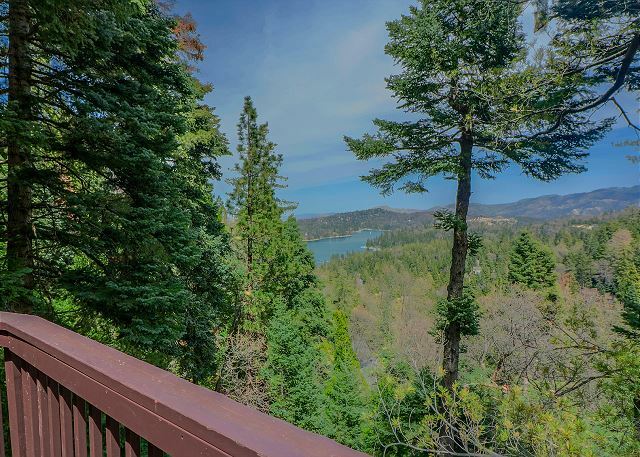 Views of Lake Arrowhead from deck. 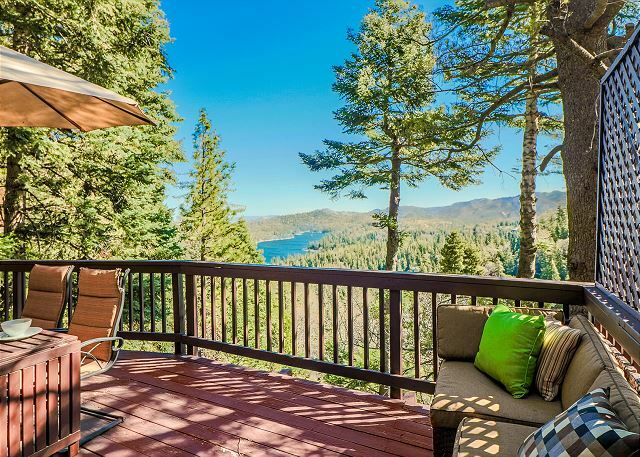 Beautiful lake views from deck. 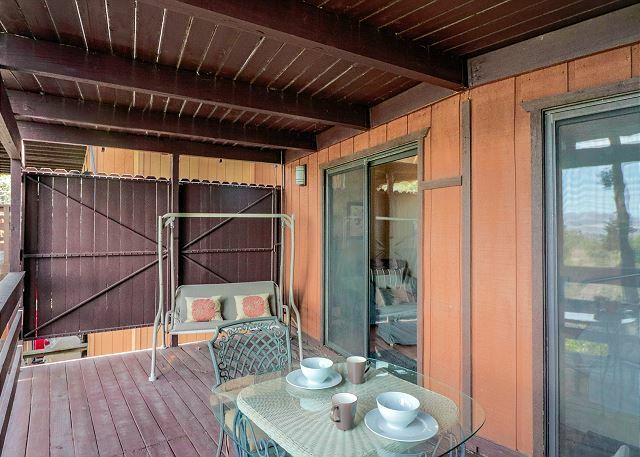 Deck has outdoor dining and additional lounge seating. Deck has a BBQ, outdoor dining as well as lounge seating. Perfect spot to hang during summer! 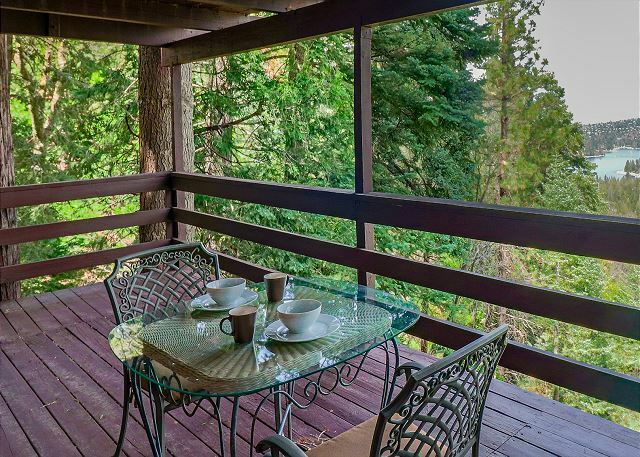 Downstairs deck with bistro seating, perfect for morning coffee. 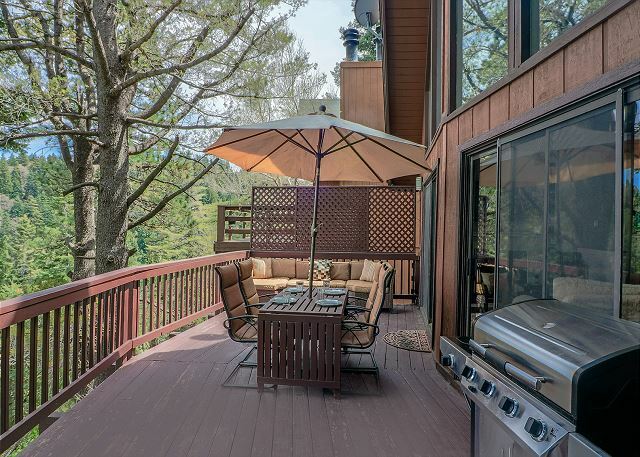 Deck is perfect spot for a group BBQ. 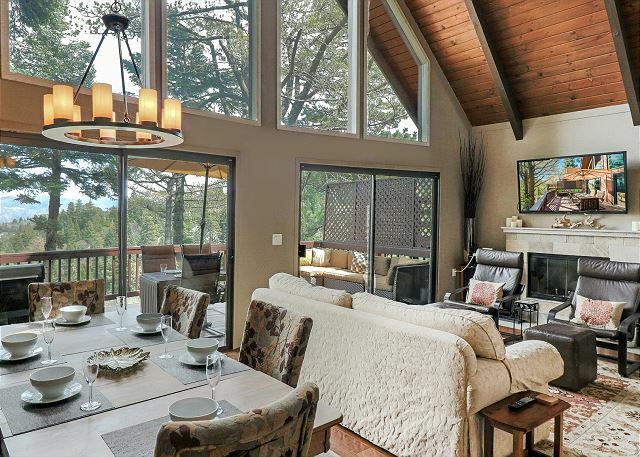 Beautiful mountain and lake views from the home. Home has plenty of parking. Plenty of parking at property. Gorgeous autumn views from deck. 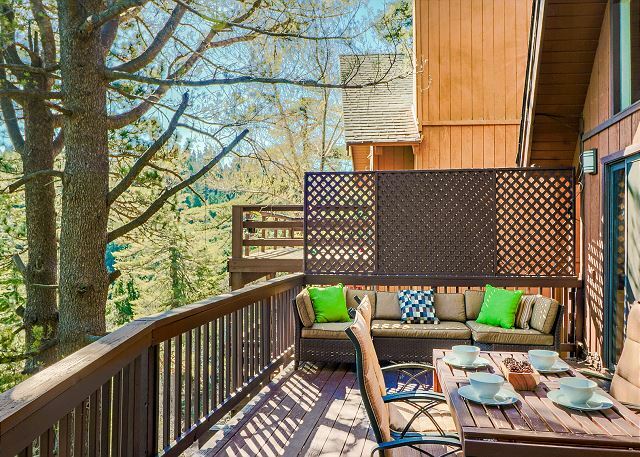 This newly renovated cabin is bright and airy, with a captivating view of Lake Arrowhead and its surrounding area. The great room, master bedroom and decks look out onto the lake, surrounding pine forest, and golden desert off in the distance; a truly unique Southern California landscape. 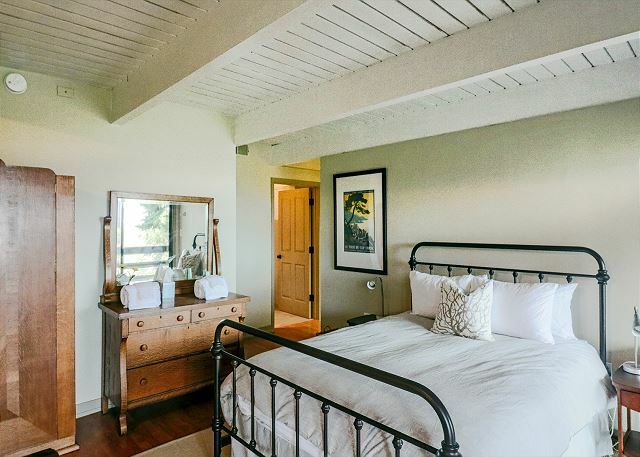 Cedar Hill is an A-frame cabin with skylights, exposed beams and a wood-burning stone fireplace. It has four bedrooms and four bathrooms. Each bed has fresh cotton sheets and duvets to make your stay more comfortable. 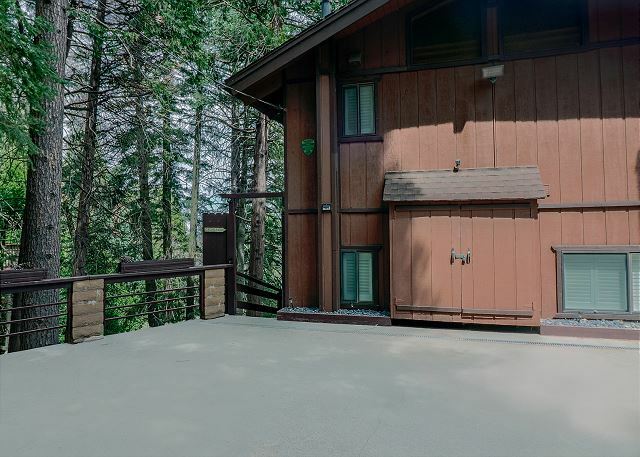 The cabin is a short drive to the Lake, nature paths and great shopping at "The Village." The more adventurous can hike down to the lake in 20 to 30 minutes. A Beach Club Access pass is included with your stay, giving you access to two private beach clubs and paths around the lake. 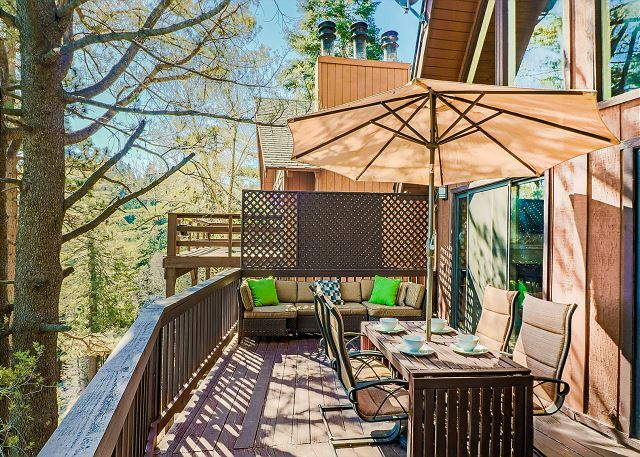 The perfect destination for a romantic weekend getaway or extended family vacation just 90 minutes drive from Los Angeles. 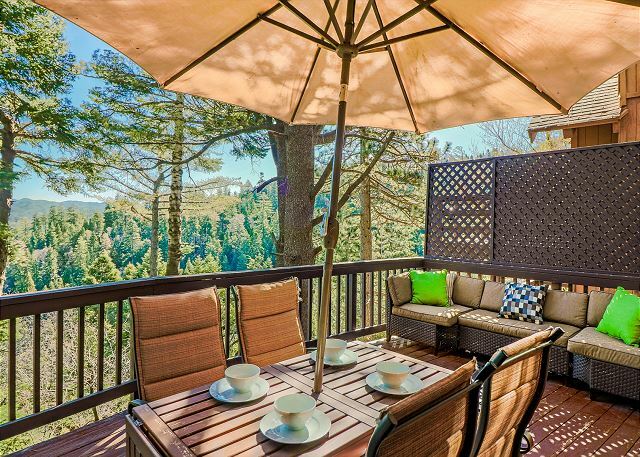 Experience the soothing effects of the sunlight filtering through the trees from the deck and enjoy the tranquility of the forest while you relax in this mountain escape. 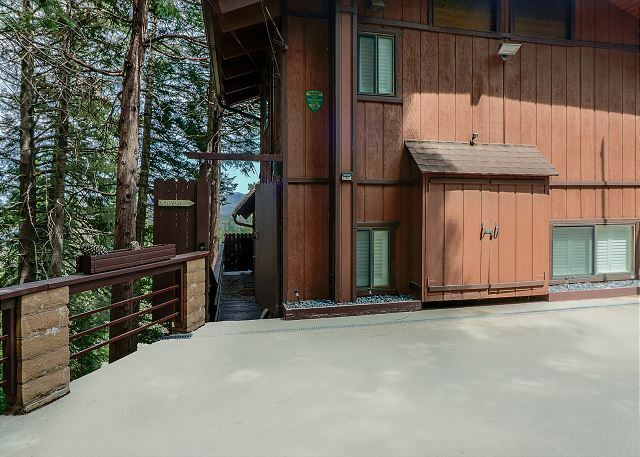 Parking: Parking for 3 vehicles on the level concrete driveway only a few steps to the front door. 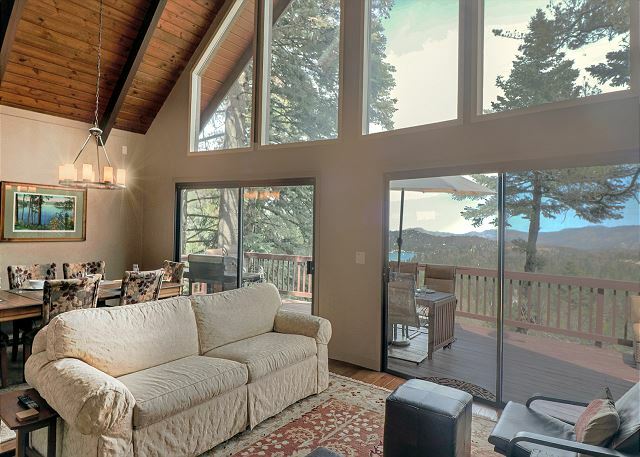 Lake Rights: The house has lake rights which transfer to you during your stay. You have use of lake & beach passes for up to 6 people in your group. 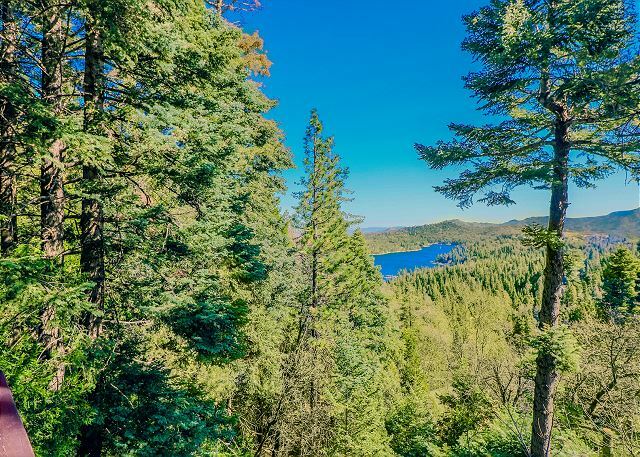 • Access to two private beach clubs, Tavern Bay and Burnt Mill, and over 60 trails that surround Lake Arrowhead • Fishing on the shoreline and on specially designated fishing docks is available, however you will need a CA fishing license. 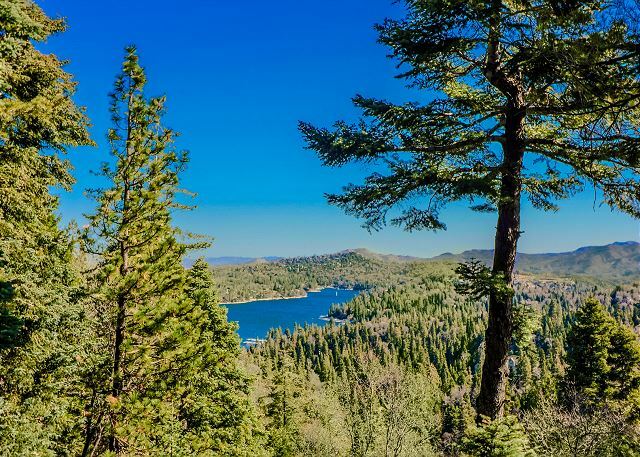 Winter - Snow: Lake Arrowhead receives much less snow than in Running Springs or Big Bear, but it does snow - so if you book during winter months, please check weather & road conditions. It can be sunny & warm below & snowing in the mountains. Snow Play: The closest ski and tubing areas are in Running Springs (15 to 20 minutes away). • Snow Drift Snow Tubing Park is very fun & low commitment at $10 an hour. • Snow Valley ski resort is next door. 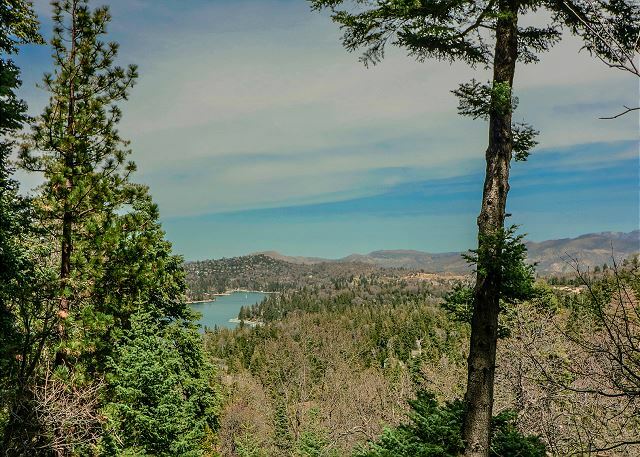 • Big Bear is about 30 minutes away and has several snow play areas. We had a really nice stay. Monica was extremely responsive when we needed something. 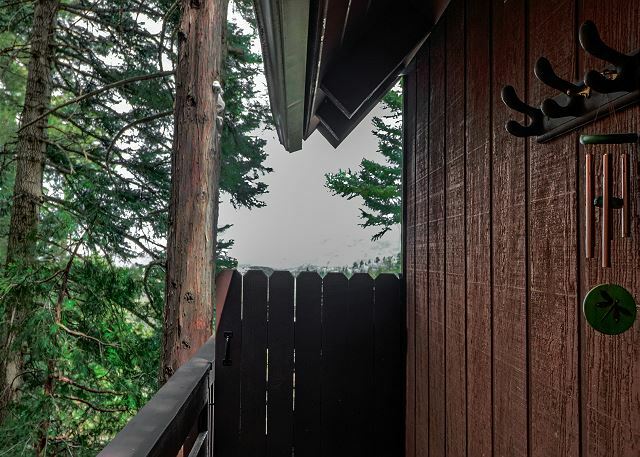 The views from the deck were stunning. The kids also had so much fun and we would stay here again.